With over 15 years’ experience in the industry, Arkadia Translations is a translation and interpreting agency based in Milan and Brussels. Certified to UNI EN ISO 9001:2008 standard, our mission is to help companies, law firms, banks, funds, financial organisations and pharmaceutical and insurance multinationals to globalise their business. Our 500-plus translators and 100 interpreters are at your service, be it for written documents, including brochures, contracts, company documentation, financial statements, policies and websites, or conferences, conventions and negotiations. We can provide the outstanding expertise you need to make your global business as straightforward as possible. To ensure the highest levels of proficiency in each matter of translation, projects are assigned exclusively to mother-tongue translators with a specific background in the field required. All translations are carefully revised by a second in-house translator. Sworn translations and legalisations available for any kind of text. Our interpreters have decades of experience in the sector, specialising in economic/financial forums, legal proceedings, medical conferences and business negotiations. We work in all the official European Union languages, the principal languages of continental Asia and the Arab peninsula, as well as the main Far East language pairs. Find out more about our key innovation, the video translation, subtitling and voice-over service – an essential marketing tool for any international business. Belfius Bank is an autonomous Belgian banking and insurance group wholly owned by the Belgian federal state through the Federal Holding and Investment Company (FHIC). 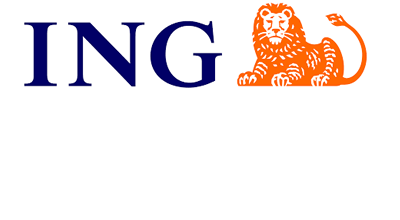 Belfius Bank shares are not listed. Belfius Bank & Insurance is, above all, a local bank, collecting savings deposits and investments via its distribution networks in Belgium. It then re-invests these funds into the society in the form of loans to individuals (mainly mortgage loans), the self-employed, small and medium-sized enterprises and the liberal professions, corporates and, in particular, public and social institutions. The bank is number 1 in the public and social sector and a leading partner for major corporations. Belfius helps 3.5 million private individuals, self-employed workers, professionals and SMEs and plays a vital role on the insurance market through a range of different channels and various brands. Euroclear is the world’s largest provider of domestic and cross-border settlement and related services for bond, equity, derivatives and fund transactions. 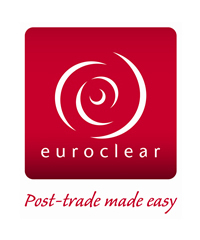 The Euroclear group includes Euroclear Bank as well as Euroclear Belgium, Euroclear Finland, Euroclear France, Euroclear Nederland, Euroclear Sweden and Euroclear UK & Ireland. The Euroclear group settled the equivalent of €634 trillion in securities transactions in 2014, representing 182 million domestic and cross-border. EuroQuity is the web service created by Bpifrance (merger of OSEO, CDC Enterprises, FSI and FSI Régions) in order to match-make developing companies and potential partners for their growth, in particular investors. Formerly only available to organisations based in either France or Germany and since Feb 2015 Belgium, the EuroQuity match making service is also now available to companies, project managers, investors and advisors from other European Countries, via the European Investor Gate community, which is managed by a consortium financed by the European Commission. To gain access to the EuroQuity service, companies, investors and other interested organizations will need to fill in a user profile, describing their activity and investment requirements. They can also apply to one or several existing communities, in order to optimize their visibility to other EuroQuity users. As a quality control mechanism these profiles will then be validated by the EIG community before access to the match making service will be granted. 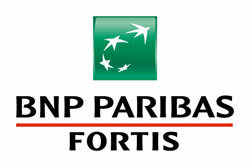 EuroQuity is operated in France by Bpifrance, by KfW Bankengruppe in Germany and by SOWALFIN in Belgium. Its aim is to grow progressively throughout Europe in cooperation with other major public operators who are willing and able to support it. 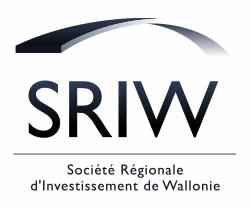 SOWALFIN is a limited company of public interest set up by the Walloon Government in 2002. It brings financial support to companies, at key moments of their existence: creation, innovation, development, internationalization, transfer-buy out. Its objective is to support entrepreneurs realizing their project by proposing financial solutions adapted to their needs. Brokerage, Securities Services, M&A, Debt/Equity Capital Markets and Debt & Equity Research. 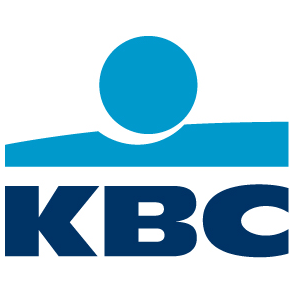 Kempen & Co is a merchant bank with a pan-European focusproviding financial services in asset management, securities broking and corporate finance. Our clients include institutional investors, companies, financial institutions, (semi)public institutions, foundations and high net-worth individual clients. Since its foundation in 1903, Kempen & Co has been cultivating its expertise, offering first-class advice through personal and long-lasting relationships with clients. It does so by focusing its services on segments in which in-depth research and advice can add real value, such as real estate and life sciences & healthcare companies and small and medium-sized listed businesses in the Benelux. The wealth management company Merit Capital was founded in 2000 by a group of experienced investors. Their experience united them in a desire to establish a business based on a philosophy of transparency and common interests. A business with a clear focus and a result-oriented approach. The head office of Merit Capital is based in Antwerp. We also have branches in Deurle, Hasselt, Kortrijk, and Leuven, with more than 40 employees. We are represented internationally in Zurich (Switzerland). Merit Capital guarantees complete independence, and it does not have any commercial relationship with the companies it invests in for its clients. Nor does it trade for its own account. Important market indicators, such as the risk premium, volatility, and stress in the financial system, are key factors in the development of the investment policy. Merit Capital also uses a unique market-timing model. Merit Capital stands out from other asset managers by focusing on the preservation of capital, without losing sight of the up-side. Preservation of capital in difficult market conditions is key for long-term return on investment. We provide asset management services with a transparent and personal approach. Transparent, because we tell you everything you need to know. Personal, because your needs always come first. Drivity = A digital trainer to prevent accidents with material handling equipment on a durable basis. 1. Our Drivity hardware device on the forklift or other material handling equipment captures data. 2. Our Drivity software tool translates the data into 3 safety KPI’s and 3 performance KPI’s of both driver and vehicle. 3. Our Drivity trainers coach the driver to a durable safe driving behavior. With our solution clients can easily lower their total cost of ownership of their internal fleet with 40%-50%. Drivers improve their driving style between 40% up to 90% with less accidents, wear and tear as a result. Our customers such as Ineos, Tessenderlo Chemie, Monsanto, … speak of a return of investment below 6 months. Awingu is a workspace aggregator that gives users secure access to corporate IT resources such as company applications and data. Leveraging the latest web technologies, Awingu provides a new way of delivering IT services: users can work and collaborate using any device with an HTML5 capable browser independent of whether they are in the office, on the road or work from home. IT administrators don’t need to install any client software or company applications on end-user devices. IT resources remain centrally managed and secure at all times. Awingu.com: One Workspace. Any Device. Anywhere. We envisioned this world more connected and safe. With that in mind we created Gotoky – world`s first smart Walike Talkie which allows smart-phone to call, text, share location and navigate to other Gotoky ́s users and use the SOS function in emergencies, to a range of 15 km (9 miles) and even more when no obstacles – all of that when there is NO NETWORK COVERAGE. Gotoky is an add-on to a smartphone which helps you to communicate in areas with no network coverage. Imagine, for instance, when you recreative tour in a remote area too far away from the signal transmitter, making Gotoky a safety device for campers, trekkers, skiers, hikers, climbers and other nature enthusiasts. Not to mention the life-saving role Gotoky can play in case of natural disasters. Moreover, Gotoky (Gotoky PRO version) can serve as a functional business tool, as a relay between the area with mobile/Internet network and areas without mobile/Internet network, for certain occupations where workers need to stay in constant group communication in remote working environments (workers in the forests, airports, construction buildings, oil platforms, ski-resorts, event organizations). Furthermore, Gotoky is extremely useful for large events, such as concerts, festivals and sports events. When the network signal is disturbed because of the amount of people around us, Gotoky is the outcome! And finally, Gotoky can even be the solution for exorbitant roaming charges during travels abroad. Gotoky can thus reduce communication costs and makes you feel save at all times! With a massive and growing market of nearly 2 billion smartphone users in the world, possibilities are endless and the potential customer base is huge! Researchers are currently using a very labor intensive process to culture human cells to perform cutting edge research. The current cell culturing process is highly analogue, wasting the researchers time with simple tasks such as feeding, removal of waste, and imaging the cells. This results in one researcher spending twenty hours per week, running a single 5 day culture; when he/she could be using that time for analysis of results. The Obruza Cell System 2 by Nestegg Biotech is the solution to this problem. 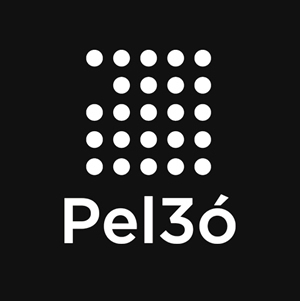 Pel3o was established to deliver on 3D printers’ failed promise, making 3D printing scalable, reliable and silent, combining high technology with design. Sounds like magic, except that is not. Behind our company there are hours of research and work, combined with love for innovation and entrepreneurship that brought our team together in the first place. With passion for technology we have developed a desktop 3D printer, Lov3D Delta Printer that enables real experience in professional prototyping. By 2050 agriculture will have to increase produc8on by 69% to feed 9.6 billion people. This increase will have to be achieved with a reduced environmental impact. Agriculture contributes nearly 25% of greenhouse gas emissions, uses 37% of landmass and accounts for 70% of consumed freshwater. Tackling the Global Food Challenge dictates the need to increase produc8vity with efficient usage of resources such as water, energy and fer8lizers. Sensoraide leverages Internet of Things Technologies for the agricultural sector by providing a comprehensive, ready to use remote-monitoring and decision-making solu8on, using Wireless Sensor Networks and Big Data Analysis. Star Engines is an innovative start-up that revolutionizes the combustion engine. Inspired by the Wankel engine, the engineers of Star Engine completely redesigned the combustion engine basics. This results in a – patented – small size, low weight 3D rotary engine with an unequalled performance. The principle opens a world of applications. Jerr.e is the first. Followed soon by Gen.e. Star Engines is open to explore partnership and dealership opportunities. 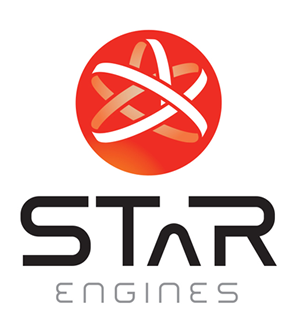 Star Engines B.V. offers exclusive and non-exclusive licenses to third parties to use its 3D STaR Technology. Technical know-how, needed to jump-start development and production can be provided by our engineering team. Currently, robots move around warehouses and factories, delivering materials and carrying out logistics handling in constrained paths. These robots rely on infrastructure like rails, indoor GPS, WiFi, LiDAR, RFID, magnets and ultrasound to navigate. This infrastructure requires substantial set-up times, maintenance, costs and technical expertise. These fixed system are not easily adaptable to changing processes. Unconstrained Robotics turns these conventional, restricted, static technologies into a thing of the past.